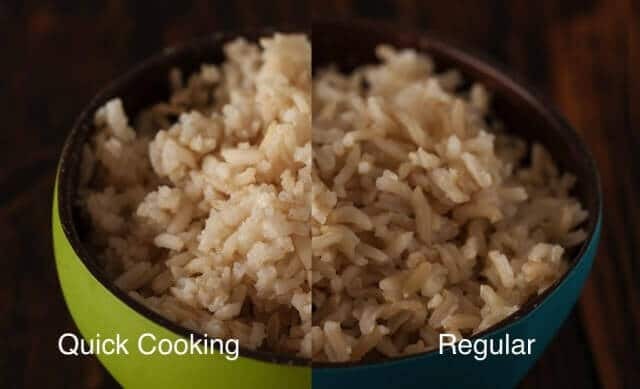 One of my most popular posts on this site is How to Cook White Rice in the Microwave. 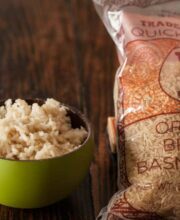 It’s a real time-saver and I kept getting requests about brown rice. So I just recently tested and posted that! And since that was so successful, I wanted to try and cut down the time EVEN FURTHER. 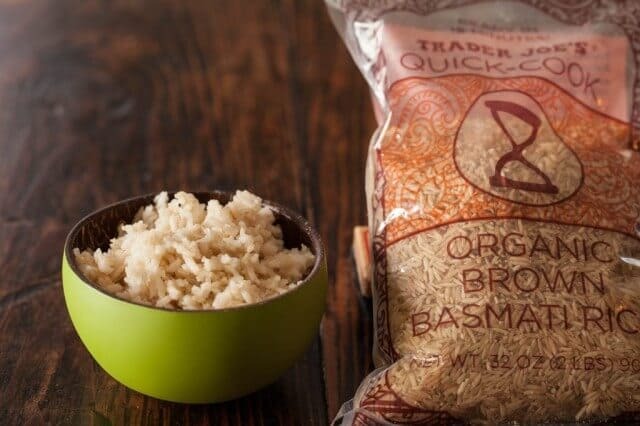 I found this “Quick Cooking” brown rice at Trader Joe’s recently and wanted to see if I could cut even more time off the microwave time. The best part: it’s totally do-able in less than 15 minutes!! So here’s a quick video to show you how to do it and what the results are. A healthy dinner just got so much faster! Add ingredients to a microwave safe bowl with a microwave safe cover. Microwave on high for 10-12 minutes or until rice has absorbed most of the water. Allow to rest for 3-5 minutes. Fluff with a fork a serve.